We are proud to announce our family is growing! Baby Kerr #6 is due February 25, 2017. 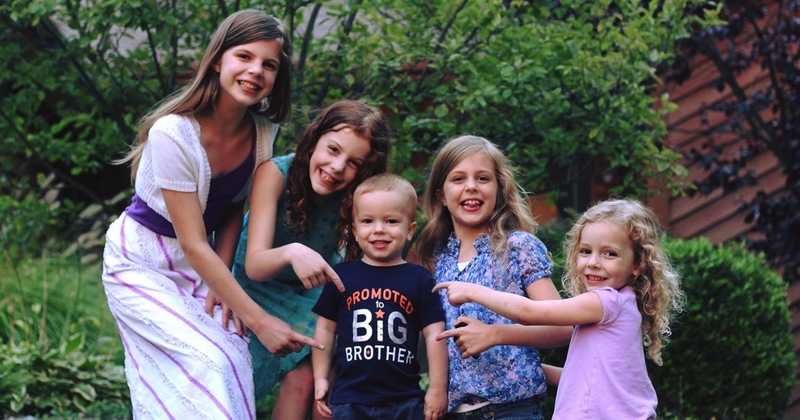 The girls really, really wanted one more sibling, and we’re glad to give Jonah the opportunity to be a big brother. We’re hoping to find out if this baby is a boy or a girl (I have a strong feeling it’s another boy). Our ultrasound is scheduled for October 8, so we should find out then. I’m feeling quite well (most of the first trimester nausea has subsided now), and I can’t wait to meet this new baby in February or March!